US equity indexes closed broadly weak, sp -10pts at 2652. The two leaders - Trans/R2K, settled -0.7% and -1.1% respectively. VIX settled +3.0% at 10.49. 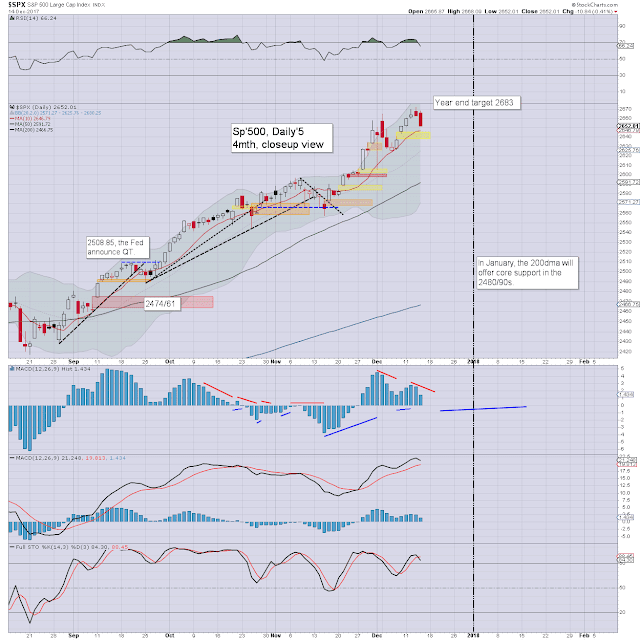 Near term outlook offers further weakness to sp'2646/36, before resuming upward into the Christmas break. US equities opened a little higher, and it was enough to generate a new historic high for the Dow. However, with the fed out of the way, Mr Market was tired, and melted lower into the late afternoon. 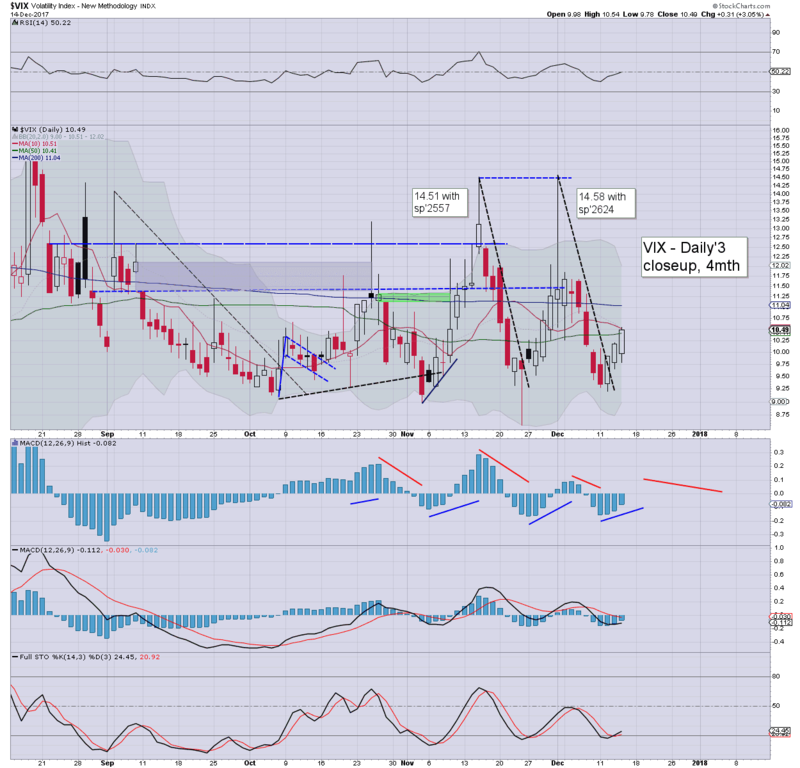 The VIX settled higher for a third day, the 11/12s look viable in the near term with sp'2646/36. The low teens look out of range unless sp<2624, which itself seems very unlikely. The Scottish regional govt, are raising taxes, despite it being well recognised that GDP is sub 1.0%. This is economic lunacy. Are they actively trying to drive capital south of the border?